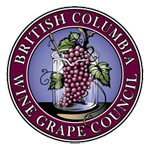 Exhibitors and Delegates of the BC Wine Grape Council 19th Enology & Viticulture Conference + Tradeshow have access to discounted hotel rates during the conference period. Please contact these providers directly to book your room. The Penticton Lakeside Resort – 1 800 663 9400. Special rate for standard (City view) is $218, (Beach view) $228, and (Lake view) $238 + applicable taxes. Parking is $10/day. Check-in: 4 pm; check-out: Noon. Register before May 14, 2019.